The villas of *Las Residencias Golf and Beach Club* offer a perfect blend of Mexican architecture, modern technology and tranquil charm. 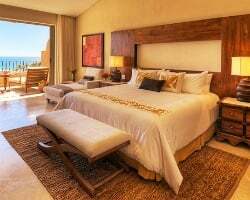 The two and three-bedroom ocean view villas are designed and furnished with the kind of elegant sophistication that members and their guests would come to expect from one of the finest resort communities in Los Cabos. The villas offer spacious floor plans up to 3100 sq ft that include large ocean view terraces with heated plunge pools, expansive living room and dining areas, exquisitely appointed master bedrooms and guest quarters, Italian kitchens with granite countertops and German appliances, full laundry facilities, wireless Internet, and Plasma screen TV with U.S. satellite channels. 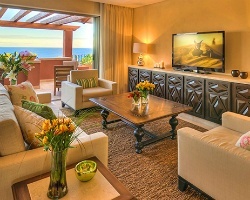 The Las Residencias Villas include a private swimming pool and patio lounge area directly in front of the units, two lighted tennis courts, convenient parking access, and just foot steps away are the Casa Del Mar Resort restaurants, bars, spa, beach club, and the world famous Cabo Real golf course. Resort is close to a variety of activities! RTU until 2109! Buyer May Receive A Title Fee Credit, Inquire For Details! Week 6 and 7 every yr! 12 free rounds of golf per wk or 3 per guest per wk! Value of $250! Buyer May Receive A Title Fee Credit, Inquire For Details! Use in Spring, Summer and Fall seasons! 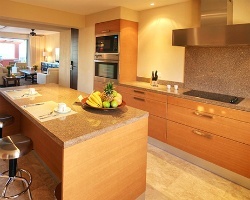 Sale includes 8 rounds of golf & unit can be upgraded to a 3BD for only an additional $400! Explore Mexico each year with a RTU until 2044! Buyer May Receive A Title Fee Credit, Inquire For Details! 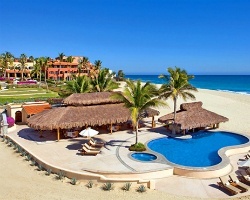 Enjoy a multitude of travels to exotic Mexico! RTU until 2065! Buyer may receive a title fee credit, inquire for details! True golf lovers paradise! 12 rounds of golf every year at this resort with the sale. Buyer may receive a title fee credit, inquire for details! Annual week 13! Sale includes 12 rounds of golf each year! 3 courses to choose from! Buyer may receive a title fee credit, inquire today! Sale includes 12 rounds of golf each year! Resort features 3 different courses to choose from! Buyer may receive a title fee credit, inquire today! Week 52 penthouse suite! Rtu until 2063. Purchase will include 12 rounds of golf each year! Buyer may receive a title fee credit, inquire for details! Annual week 51! Enjoy your Christmas Holiday here! Penthouse Suite! Sale includes 12 rounds of golf every year! Great resort close to a variety of activities! Even year floating week! Buyer may receive a title fee credit, inquire for details! Unwind at this stunning beachfront resort! RTU in perpetuity! All offers considered! Price negotiable! Buyer may receive a title fee credit! Sale includes 8 free rounds of golf! Enjoy relaxing at this beautiful resort! Buyer may receive a title fee credit, inquire for details! Ocean View unit w/ Daily Maid Service! Discounts for owners at hotel & spa, & 8 free rounds of golf per week! 2 week available.